How will Reading First help teachers teach reading? Encourage reading programs based on scientifically based reading research -- that is, focusing on teaching methods that work. Ensure early and ongoing assessment of every child's progress using the best analytical tools. Provide professional development and support for teachers. 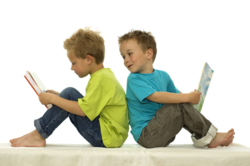 Help monitor reading achievement gains in grades K-3.